A recent email circulating among certain UFO researchers asked, where is the best on-line statement of the skeptic's position on the famous JAL 1628 sighting by Capt. Terauchi on Nov. 17, 1986? 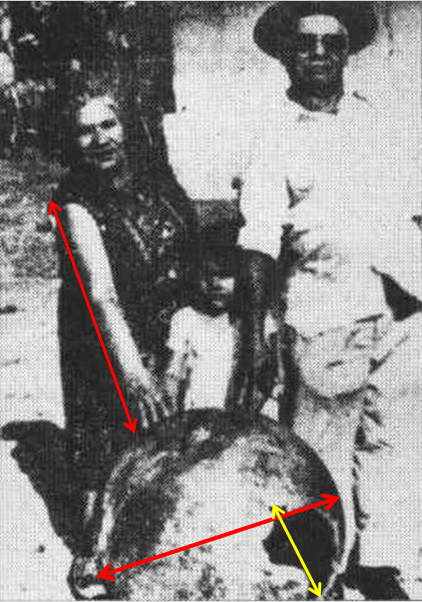 Despite it being one of the most celebrated cases in the recent UFO literature, it turns out that there wasn't a lot. To remedy this perceived lack, I scanned all of the press clippings and other papers in my file on the case, and placed it on the Historical Documents page of my Debunker.com website. It contains original press clippings from when the case was first reported, a press release by CSICOP, FAA information, and a "Summary White Paper" about the case by Philip J. Klass. (Page numbers given refer to this PDF document. MUFON, it turns out, has scanned some 377 pages relating to this case, now available in John Greenwald's The Black Vault). Capt. Terauchi (from People Magazine). The San Francisco Chronicle reported on December 30, 1986, "The crew of a Japan Air Lines cargo jet claimed that a UFO with flashing white and yellow strobe lights followed them across the Arctic Circle in route from Reykjavik, Iceland, to Tokyo" (p.1). On January 1, 1987, that paper reported, "A veteran pilot whose UFO sighting was confirmed on radar screens said the thing was so enormous that his Japan Air Lines cargo jet - a Boeing 747 - was tiny compared with the mysterious object" (p.2). In fact, Terauchi said that the object was larger than an “aircraft carrier.” Feeling the heat, the FAA soon re-opened its investigation of the incident. "The reason we're exploring it is that it was a violation of airspace," said FAA spokesman Paul Steucke. "That may sound strange, but that's what it was" (p. 4). The FAA has concluded that the unidentified object on radar now appears to be an unexplained split image of the JAL Boeing 747 and not a separate object .... 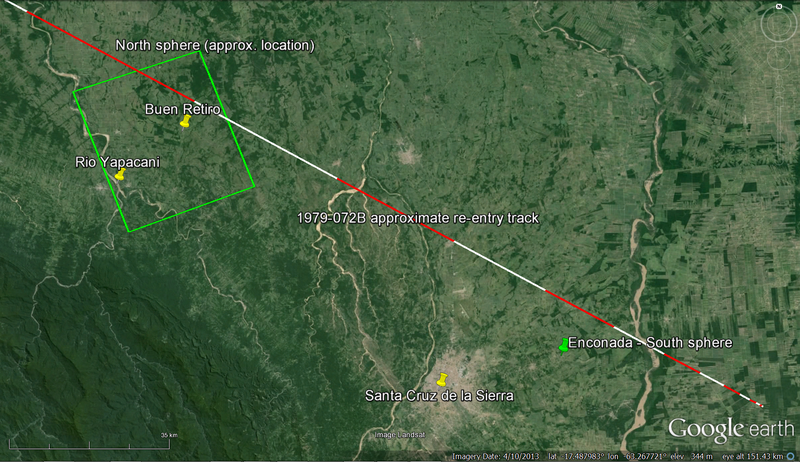 The review of radar data indicates that no second object was present and represents a reversal of earlier FAA statements that a second object was confirmed on radar. "The bottom line is that this tells us that we don't have any radar confirmation of the object that the pilot said he saw," Steucke said (p. 5). The scanned documents from MUFON include a detailed technical analysis from the FAA of the “uncorrelated primary return” on the radar (p. 50-53). Many of the colorful details of the incident carried by the news media, largely based on the six-week-old recollections of the pilot of JAL Flight 1628, are contradicted by a transcript of radio messages from the pilot to FAA controllers while the incident was in progress. For example, news media accounts quoting the 747 pilot said that when he executed a 360 degree turn, the UFO had followed him around the turn. But this claim is contrary to what the pilot told FAA controllers at the time. An interesting historical footnote: in the press release, Klass credits "astronomers Nick Sanduleak and C. B. Stephenson, of Case Western Reserve University, in Cleveland, for their valuable assistance in computing the positions and bearings of bright celestial bodies relative to the 747 airliner at the time of the incident." In February 1987, the month after this press release was issued, southern hemisphere astronomers discovered Supernova 1987a, in the Large Magellanic Cloud. It was the brightest supernova seen from Earth since 1604, easily visible to the naked eye. Researchers discovered that the progenitor star (before the Supernova explosion) was a blue giant star known as Sanduleak -69° 202. Yes, that Nick Sanduleak (1933-1990). He catalogued the stars of the Large Magellanic Cloud. He also discovered Sanduleak's Star, a very unusual object in the Large Magellanic Cloud, with a "giant, highly-collimated bipolar jet." In his spare time he attended CSICOP conferences, where I met him several times, a very friendly fellow. Unfortunately, he died of a cardiac arrest a few years after this. The FAA issued an in-depth report, with primary references and interviews included. Unfortunately, the FAA charged $194.30 for the complete package, including all written records, photographs, and all tape recordings. It wasn't exactly a best-seller: not too many people were sufficiently interested to send in almost $200 for information about a UFO report. In fact, it sounds very much like the FAA constructed this expensive package to deter the many persons badgering them for information on the case. But that didn't deter Philip J. Klass. Klass wrote an article in The Skeptical Inquirer, Summer 1987: "FAA Data Sheds New Light on JAL Pilot's UFO Report." It was reprinted in the book, The UFO Invasion (Prometheus Books, 1997), Kendrick Frazier, Barry Karr, and Joe Nickell, eds. The FAA data package reveals Terauchi to be a "UFO repeater," with two other UFO sightings prior to November 17, and two more this past January, which normally raises a "caution flag" for experienced UFO investigators. The JAL pilot is convinced that UFOs are extraterrestrial and when describing the light(s) Terauchi often used the term spaceship or mothership. 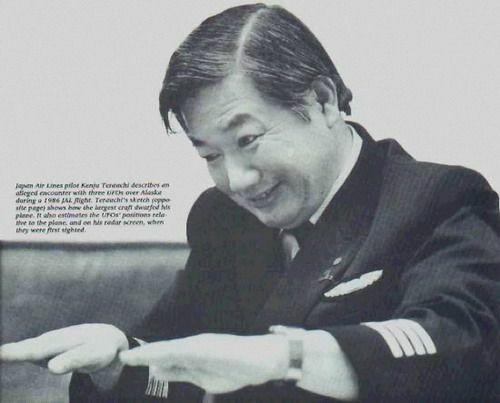 [Terauchi] always failed to mention that two other aircraft in the area that were vectored into the vicinity of the JAL 747 to try to spot the UFO he had been reporting were unable to see any such object... [Flight Engineer Yoshio Tsukuba] "was not sure whether the object was a UFO or not"... When the copilot [Takanori Tamefuji] was asked if he could distinguish these lights "as being different" from a star, he replied: "No." KLASS’s explanation verges on scientific garbage. There is no reason to suppose that moonlight reflected off ice crystals in the clouds would generate “flame colored lights.” Klass’ explanation certainly could not account for the heat which Terauchi felt on his face. Nor would it explain the distinct arrays of flames or lights associated with two independently flying objects that appeared ahead of the plane and ABOVE for many minutes (the clouds were reported to be below the plane). While I tend to agree that moonlight reflecting off clouds would probably not make a very good "UFO" display, there are so many sources for 'lights in the sky' (including 'lights on the ground,' which Terauchi agreed with the FAA was an explanation for his January 11 UFO sighting) that once the main "UFO" has been demoted from a giant "mothership" to 'unexplained lights,' it no longer impresses us as much of a mystery. Even J. Allen Hynek was dismissive of 'lights in the sky' UFO reports. The bottom line is, Terauchi's own flight crew saw only 'lights,' and other aircraft checking out the situation saw nothing unusual. 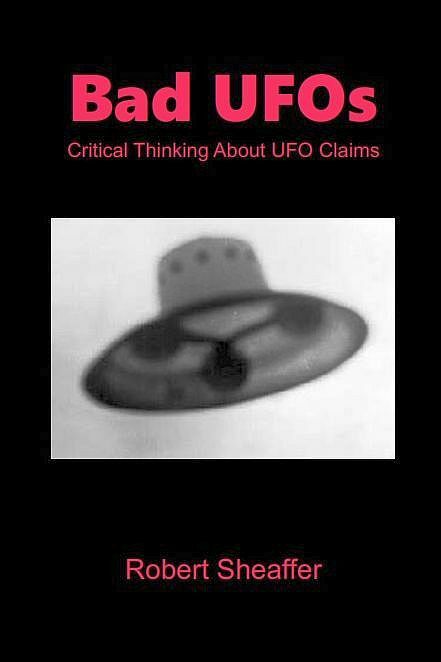 The case merits a chapter (#22) in Leslie Kean's book, UFOs: Generals, Pilots, and Government Officials Go on the Record. Written by John J. Callahan, he claims that Terauchi's crew "both saw it, too." Of course this is false - they saw only lights, not the giant spaceship that Terauchi reported. Callahan also claims that "it flew alongside his jet" after he turned, but (as Klass notes), this contradicts what Terauchi told FAA controllers at the time. Callahan ices the cake with his claim that the CIA has over 30 minutes of radar data confirming Terauchi's UFO, but they refuse to release it, to prevent public panic. At this point, Callahan’s credentials and story has never actually been independently confirmed. In fact, back in 2007, as we were attempting to verify his claims, we contacted CIA Science Analyst Ron Pandolfi. Ron admitted that both he and Maccabee had in fact attended an FAA meeting like the one Callahan described. However, he did not recall anyone making any statement that the meeting never happened, or that the data should be covered up…. We contacted Maccabee and he also confirmed that he was at such a meeting and received all of the data for his analysis and report, but he also did not recall anyone at the meeting trying to cover it up. So much for the credibility of John Callahan. And of Leslie Kean. Kean is enormously impressed by pilot sightings, which she describes as “a unique window into the unknown.” She writes that pilots “represent the world’s most experienced and best-trained observers of everything that flies… these unique circumstances potentially transform any jet aircraft into a specialized flying laboratory for the study of rare anomalous phenomena.” Dr. J. Allen Hynek, the late USAF Project Blue Book consultant who Kean repeatedly cites as a respected UFO authority, came to exactly the opposite conclusion. On page 271 of his 1977 book The Hynek UFO Report, he wrote, “Surprisingly, commercial and military pilots appear to make relatively poor witnesses.” Kean actually quotes from other pages of that book, but makes absolutely no mention of Hynek’s low opinion of pilot sightings. Re-reading Terauchi's own statements about the incident, I don't think that anyone could call him an unbiased or objective observer.